It makes an ideal present for any food lover, gardener or in fact anyone who likes fresh ingredients. The kit includes everything you need to get started, 6 peat starter pots 6cm in diameter, 6 peat discs that expand when watered, 6 plant markers and individual seed packets of basil, parsley, thyme, chives, coriander and rocket seeds. These factors are out of Plant Theatres control and Plant Theatre or any company selling this product can not be held responsible for non germinating seeds. 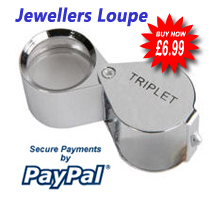 This kit is deemed as a novelty gift and is sold as such. 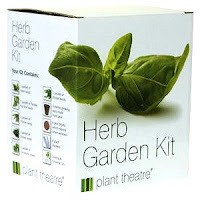 I received the Plant Theatre Herb Garden kit as a gift and planted the seeds just 10 days ago. Placed the pots (2 in polythene bags as per the instruction within the kit) on my bathroom window sill. All six pots are now jam-packed with seedlings. I'm going to replant these to my herb garden, and plant the remainder of the seeds in the seed pots. Should have enough herbs for the season!